A stunning coffee table with a unique design. 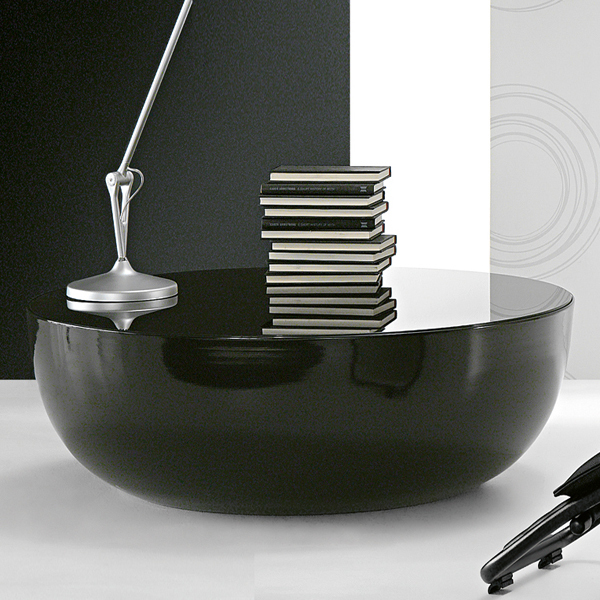 The rounded aluminium base is available with a satin aluminium or glossy painted finish (white or black). 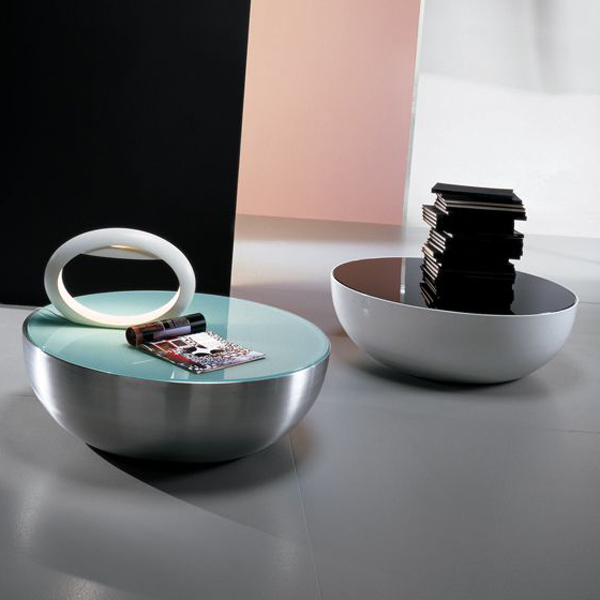 The top is made from extra-light glass and is lacquered in white or black. Also available in a smaller size, with an internal light, or in all gold (see related products below). Now also available with an acid treated glass top for a matt finish (in the same colors), call or email us for a quote.